You don’t hear that name very often. Brenda is what we have called our Ballerina Mouse. I used this pattern by Lilleliis on etsy. I original came across it via the Lilleliis Blog. 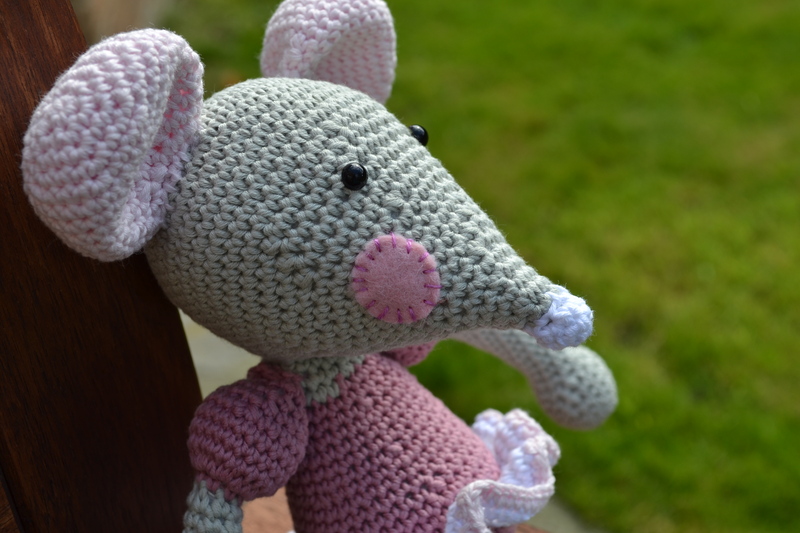 If you are into crochet amigurumi take a look, you are in for a treat. One ball of each was perfect for her. 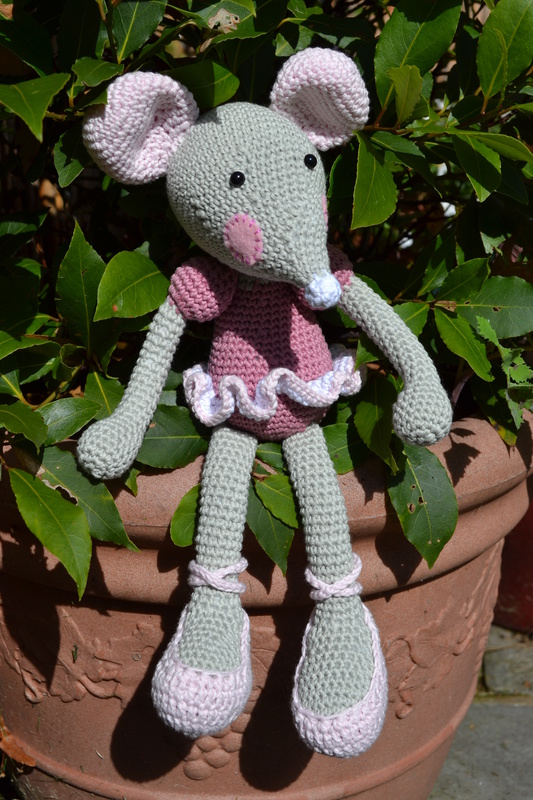 In fact I’ve bought another of the grey enabling me to also make ‘Rosie the Rabbit’ with what is left. The pattern was incredibly clear and precise. I followed it to the letter and she came out looking exactly like the pattern image. She took me a week of evenings and a sunny afternoon. 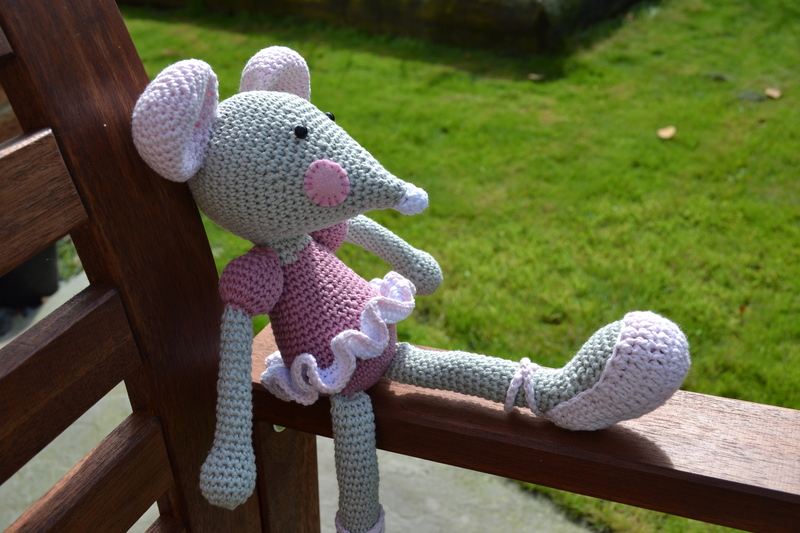 This mouse will remind me of crocheting in the garden in the sunshine of 2014. I used some black safety eyes, also from Minerva. There is no shifting these when they are on so truly safe for a little one. I’ll have the photos but not the finished article to remind me. It is going into my slowly growing Christmas present box along side Gerald. 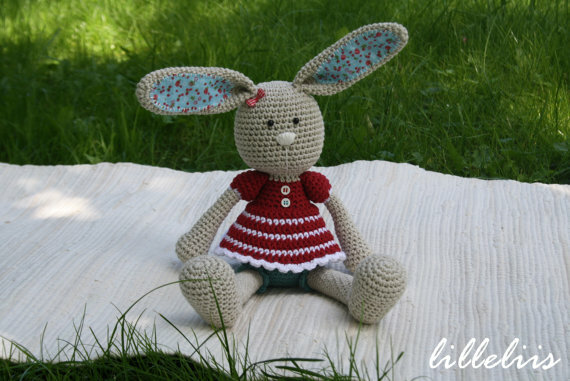 I’ve already made a start on Rosie the Rabbit, another pattern from the same designer, using the same colours as Brenda. Another quick and satisfying make. Has anyone else started creating for Christmas? Or is it just me? 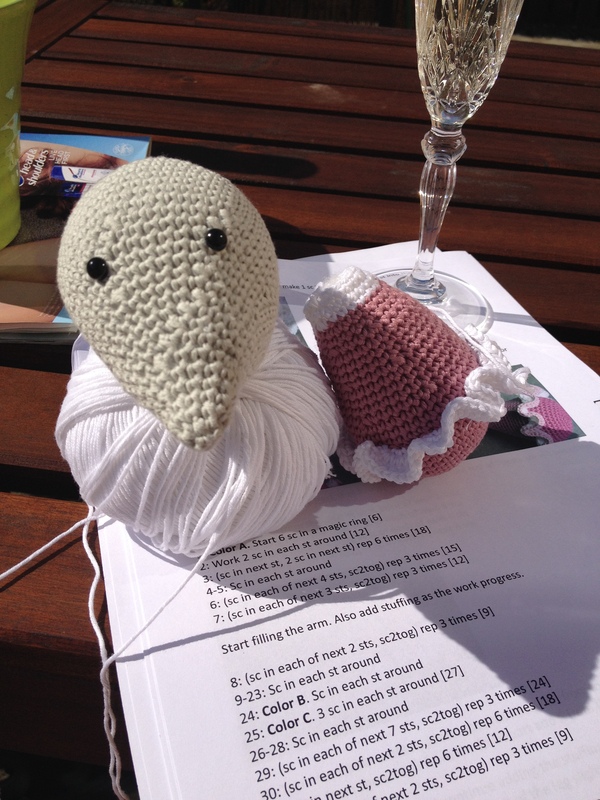 I can’t crochet a stitch so to me this looks like the most complex thing in the world to do! It is beautiful – I love Gerald as well! But I do sew and can confirm a box of felt snowmen, two fairies and a new pattern to make robins……. Wow! You’ve been busy! 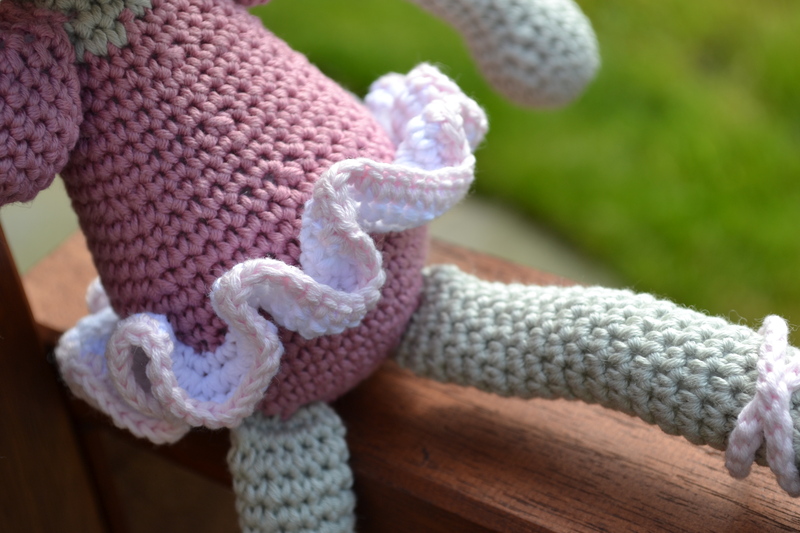 I love how crochet allows me to create 3d things without touching a needle. Oh yes! If you make your own presents I think you need the whole year to give yourself enough time to get them all done. Especially if several people have begged for crocheted blankets…. I am one jumper into my Christmas gift makes now. I love your ballerina, so sweet. Thank you. Only 18 weekends to go til Christmas – apparently! I like these little crochet makes as they take so little time and are extremely satisfying if you come across a good pattern designer. I couldn’t imagine knitting a whole garment for someone else. But then I’m probably a little selfish with my time! 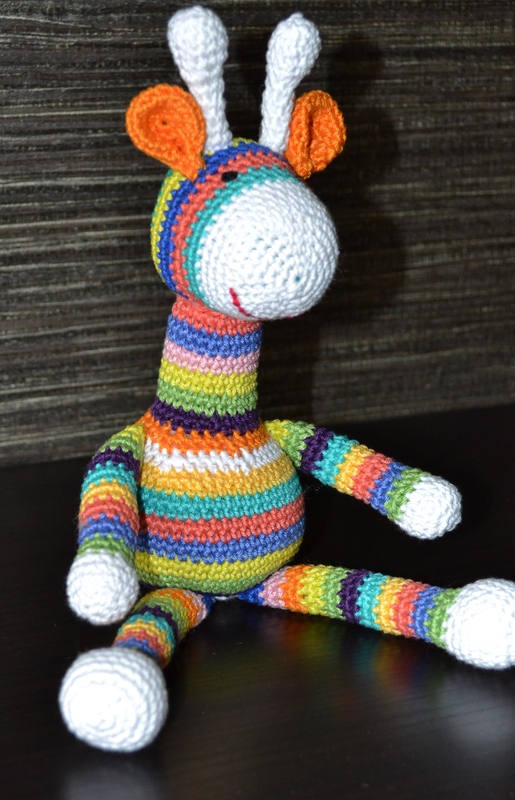 I love these crochet animals, I’ve made the giraffe and am tempted by that cute rabbit. As for making for Christmas I’ve decided not to do much this year as everyone got handmades last year so they can have purchased gifts this year. I can’t bare the shopping! And unfortunately my family have come to expect handmade! Thank you so much. And each one results in one less present to shop for! Well I like to spread things out so I still get plenty of time to create just for me! And I do enjoy it. It becomes one big chore if it is all left til the end. Although I love autumn, I’m not looking forward to losing the precious light in which to photograph my makes. We finally bought new garden furniture this summer so I’ve been making the most of it as a back drop. Love Brenda ! I see that she also enjoys a glass of bubbly just like her maker! Wow! those animals are gorgeous. I have 7 gifts to make for Christmas. I best get a move on unless I wasn’t it to be frantic in December. Ha, ha! It’ll be here before you know it! A new ‘follow’ always brings a smile to my face. Thank you! 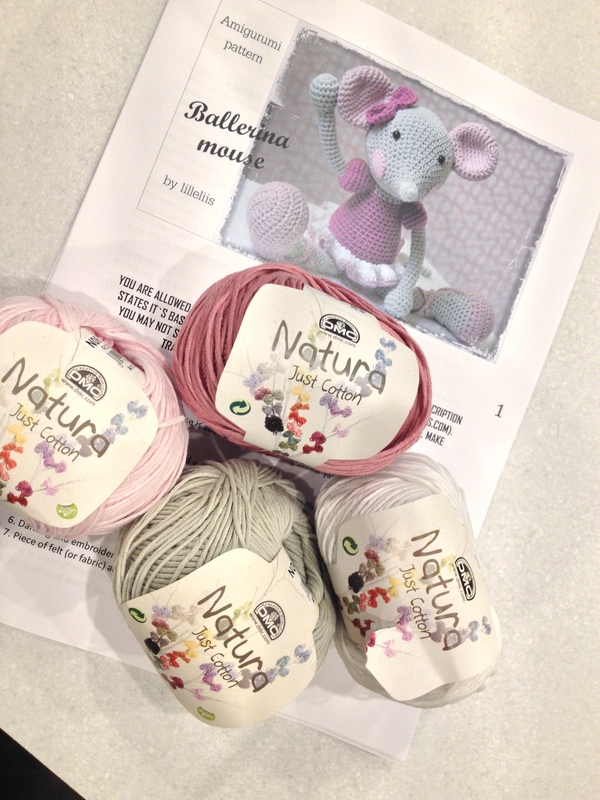 Brenda is fab, thanks for the tip on cotton yarn, I have been trying afew different ones and have’nt settled on a favouite yet so will give this a try, It certaily looks lovely. I have a head full of things to make for Christmas but so far have only made one! Better get back and pick up my hook post haste. Happy hooking! I’m definitely finding these amigurumi really enjoyable. It’s not so great when making Christmas presents becomes one long chore. Brenda the Ballerina is just too cute. You’ve made a great start on your Christmas presents. I’m behind — big time! How adorable!!! 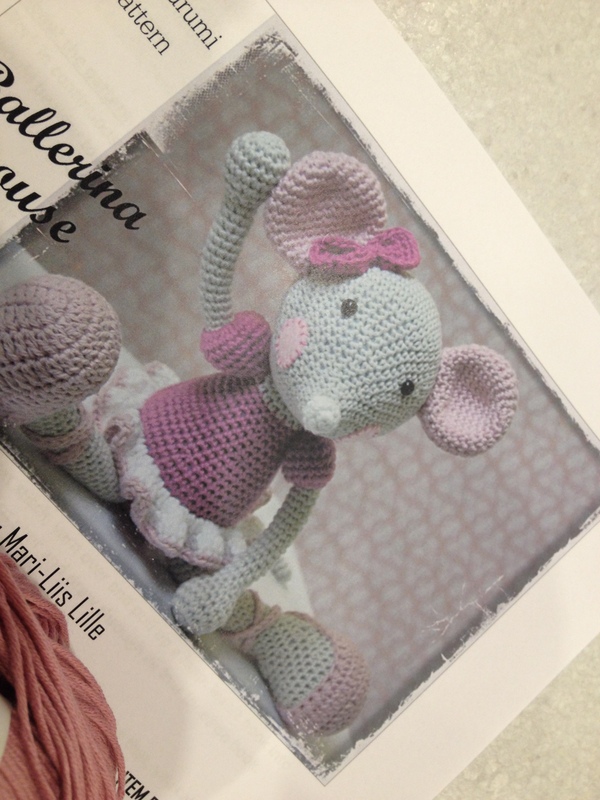 I love all details on the gorgeous ballerina mouse! It’s an amazing work, congrats! Brenda is beautiful. Your work is magic. 🙂 Could you, please, tell me, which size of the hook did you use? I will try to do one ballerina.